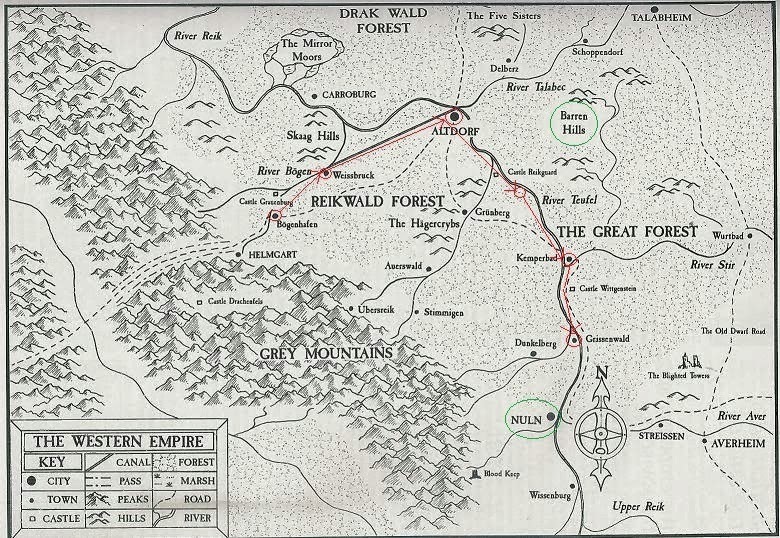 Continuing our journey to Nuln in hope of tracking down a not-so-wholesome sorceress by the name of Italka, the party followed-up on a lead that she has relocated to an abandoned Coal mine in the hills. I should mention, we have a new player, who has fielded a reasonably capable Cleric-type. He made some very creative use of his "create sound" spell, and should be even more effective once he has a bit more XP and can do battle magic. Anyway, we took the huge intellectual leap of staking-out the homestead closest to Italka's stronghold. This paid off in the form of a large force of about 60 goblins and 20 wargs attacking the place. The battle took the better part of two sessions, and when the smoke had cleared there was a bit of structural damage and one of the dwarves was a bit injured, but besides that, it didn't go too well for the goblins. The first few waves were shot or chopped-down fairly quickly such that the real melee didn't start until the the third and largest wave. 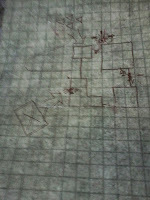 The goblins made their attack from 5 different locations and attempted to swarm the party and grapple them. 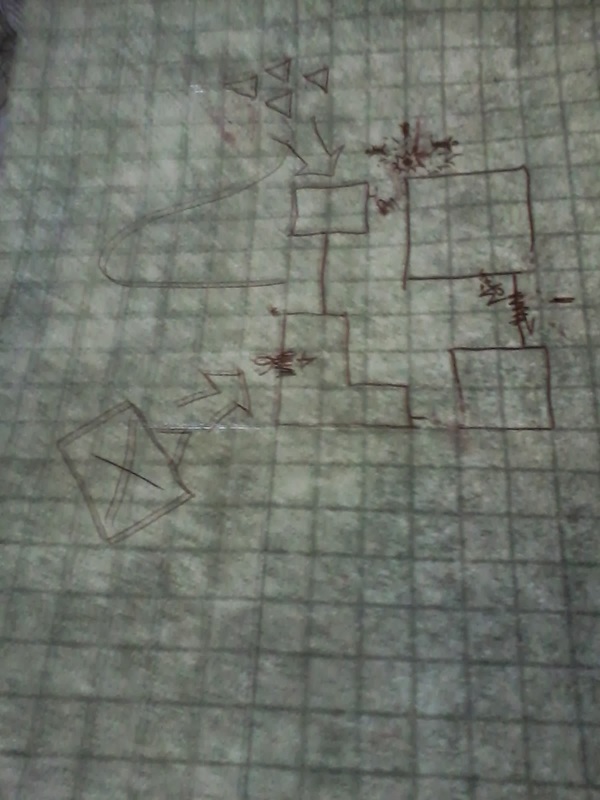 Siegwart had to use a couple bombs, and our archer made a killing from the roof, and the other 5 PCs were running around trying not to get overwhelmed. Anyway, another good session, and now the party is trying to decide whether to assault Italka's stronghold or attempt to parley.